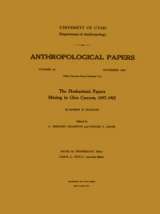 A historical and analytical study of the Whiterock Utes with an emphasis on the influence and interaction of the socio-economic structure. 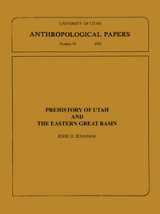 A report on the 1952 excavation of the prehistoric Garrison site, located in the Snake Valley region of western Utah. 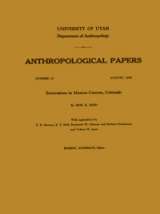 Notes taken by Dr. Edward Palmer between 1866-1877 on the ethnology of the Utah Utes and reproduced in full. 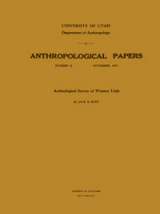 The report on an archaeological excavation undertaken at Pine Park Shelter located in the Beaver Dam Mountains in southwestern Utah. Excavation was completed in 1950 and included both prehistoric and Southern Paiute materials. 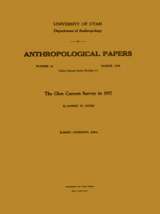 The description and classification of prehistoric human skeletal material found during the 1938-1941 excavation of Deadman Cave, near the southern shore of the Great Salt Lake. 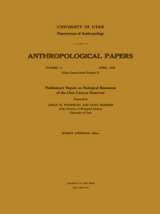 A report on the salvage survey and testing of nine archaeological sites during the years 1952-1953, located in Beef Basin, southeastern Utah. AKA Glen Canyon Series Number 4. This volume contains the history of Jacob Hamblin, an Indian missionary for the Mormon Church, who was born in 1819 and spent considerable time in the Glen Canyon region. 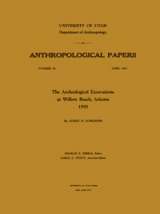 Based on a report completed in 1948, this volume presents descriptions of the prehistoric artifacts and burials found on Stansbury Island during the excavation of two cave sites. 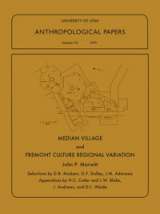 Salvage excavation of five prehistoric sites was completed in 1942 in Mancos Canyon, Colorado, and reported in this volume. An additional 24 open sites in the canyon were surveyed and pottery collection completed. AKA Glen Canyon Series Number 5. One of a series of AP reports about the Colorado River centered on the Glen Canyon area and completed as part of the salvage work associated with the dam. The volume describes the vegetation in the reservoir basin. AKA Upper Colorado Series Volume 1. 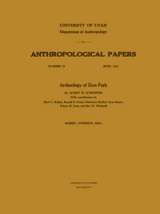 This series is based on work from the archaeological salvage project for the Upper Colorado River Basin and published within the AP series. This report focuses on the area affected by the Flaming Gorge dam. 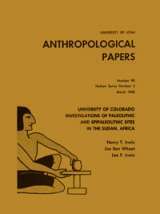 An ethnographic report on the life cycle of the Havasupai woman based on five months of field research by Carma Lee Smithson during 1950 and 1951. AKA Glen Canyon Series Number 6. Part I of III Parts. 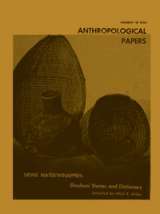 This volume defines and refines problems of regional importance from the limited data collected during the archaeological survey and contains varying author opinions about interpretation. AKA Glen Canyon Series Number 6. Part II of III Parts. 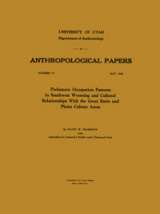 Contains the archaeological survey of the Kaiparowits Plateau by James Gunnerson, the Glen Canyon main stem survey by Don Fowler, and the San Juan triangle survey by Ted Weller reports. AKA Glen Canyon Series Number 6. Part III of III. Reports on the final phase of the Glen Canyon survey concentrated in the upper canyon between Hite, Utah, and the confluence of the San Juan and Colorado rivers. AKA Glen Canyon Series Number 7. 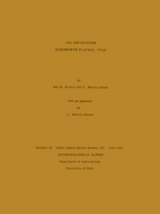 This volume is an aggregation of eight related papers that portray the results of studies of the flora and fauna of Glen Canyon. AKA Glen Canyon Series Number 8. Part I of III. 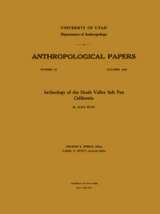 The volume is the first excavation report on the Coombs site, undertaken in 1958 because it appeared to be the most significant site within or adjacent to the Glen Canyon areas that were flooded. AKA Glen Canyon Series Number 8. Part II of III. 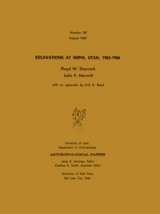 This volume is the second report on the Coombs site, located in Boulder, Garfield County, southern Utah and summarizes the 1959 excavation year. AKA Glen Canyon Series Number 8. Part III of III. 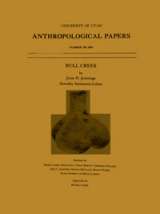 This volume is the third and final report on the Coombs site, located in Boulder, Garfield County, southern Utah and contains the summary and conclusions about the archaeological excavation. AKA Glen Canyon Series Number 10. 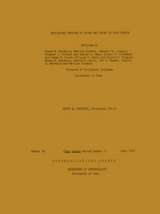 This volume reports on ten prehistoric sites that were excavated during the 1957 field season in Kane and Garfield counties, south-central Utah. Nine of the excavated sites were located on the Escalante River or its tributaries. AKA Glen Canyon Series Number 11. 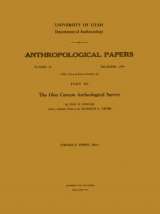 Twelve archaeological sites were tested or excavated during the summer of 1958 and are reported in this volume. These were located in the lower Glen Canyon between the confluence of the San Juan and Colorado rivers and the dam site at Page, Arizona.AKA Glen Canyon Series Number 11. 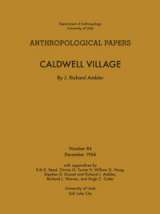 Twelve archaeological sites were tested or excavated during the summer of 1958 and are reported in this volume. These were located in the lower Glen Canyon between the confluence of the San Juan and Colorado rivers and the dam site at Page, Arizona.AKA Glen Canyon Series Number 11. 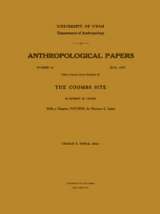 Twelve archaeological sites were tested or excavated during the summer of 1958 and are reported in this volume. These were located in the lower Glen Canyon between the confluence of the San Juan and Colorado rivers and the dam site at Page, Arizona.AKA Glen Canyon Series Number 11. 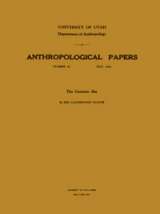 Twelve archaeological sites were tested or excavated during the summer of 1958 and are reported in this volume. These were located in the lower Glen Canyon between the confluence of the San Juan and Colorado rivers and the dam site at Page, Arizona. AKA Upper Colorado Series Number 2. 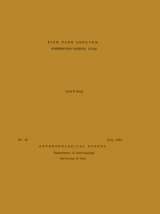 This volume contains the results of a survey of reservoir vegetation prior to inundation of approximately 42,000 acres of land situated in northeastern Utah and southwestern Wyoming. AKA Glen Canyon Series Number 12. 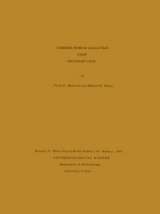 This volume consists of a detailed study of the historical sites in Glen Canyon below the mouth of the San Juan River to the dam itself. The waters of Lake Powell have now either wholly or partly submerged all of these historical sites. More than 650 archaeological sites were found and recorded during the survey of the Death Valley salt pan. A number of these were excavated: five rock mounds, five storage pits, one dwelling, one shelter, six rock circles, six rock traps, and one fireplace. 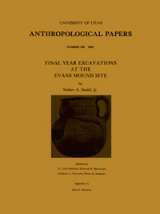 The survey and excavation work is reported in this volume. AKA Upper Colorado Series Number 3. This report includes survey summaries on the vegetation, arthropods, amphibians, reptiles, birds and mammals of the Flaming Gorge reservoir basin. In addition, an aquatic survey of the Green River and its tributaries within the basin was completed and reported herein. AKA Glen Canyon Series Number 13. In 1959, twenty-two archaeological sites were tested or excavated in the upper Glen Canyon region, roughly between Hite, Utah, and the confluence of the San Juan and Colorado Rivers. This report is describes and summarizes these sites and findings. Archaeological investigations of this site were begun in 1936 by the C.C.C., and continued in 1947-48 by the National Park Service. 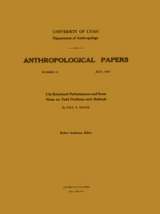 This volume reports on the tests that were conducted in 1950 by University of Utah crews. AKA Upper Colorado Series Number 4. 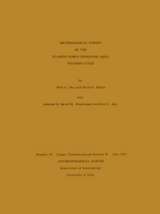 The report on the quantitative survey of the vegetation of the Navajo Dam reservoir basin prior to inundation of an estimated 16,000 acres of land. The survey was completed in 1960. AKA Glen Canyon Series Number 14. Archaeological survey, testing and excavation of twenty-four sites was carried out in Lake Canyon and its tributaries and is reported here. The 1960 focus was on problem orientation and as such, salvaging an adequate sample for this purpose. AKA Upper Colorado Series Number 5. 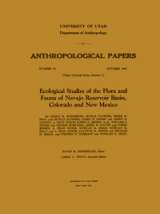 A report devoted to ecological studies of the flora and fauna of the Navajo Reservation Basin on the San Juan River, Colorado and New Mexico. AKA Upper Colorado Series Number 6. 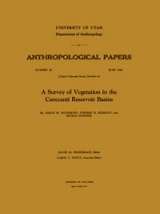 This report represents the findings of the quantitative survey of vegetation made during 1961 as part of the salvage work for the three Curecanti Unit reservoirs. These included the Blue Mesa, Morrow Point, and Crystal reservoir basins on the Gunnison River in western Colorado. AKA Glen Canyon Series Number 16. 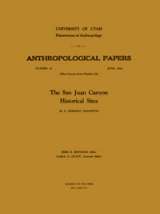 Three archaeological survey expeditions from the Carnegie Museum were in southeast Utah in the area between the San Juan and Colorado rivers during 1945-1947. 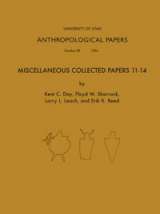 This report is primarily a descriptive study of the archaeological collections made from the surveys. AKA Upper Colorado Series Number 7. A summary of the results of archaeological survey activities conducted in the Bridger Basin area, located in southwestern Wyoming. The survey work was done prior to the completion of Fontenelle Reservoir, located on the Green River, which subsequently inundated this area. AKA Upper Colorado Series Number 8. 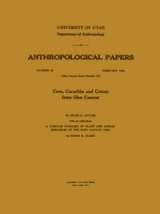 The papers in this volume deal with ecological studies of the flora and fauna made as by-products of an expedition conducted by the University of Utah to survey the flora and fauna that are now inundated by the Curecanti reservoirs. These reservoirs are located on the Gunnison River in western Colorado. 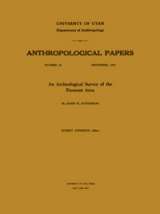 A collection of papers that represent a portion of the results of archaeological survey, excavation and museum collection analysis undertaken in Utah between 1959 and 1961 by the University of Utah Department of Anthropology and the Utah Statewide Archeological Survey. AKA Glen Canyon Series Number 17. 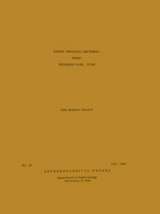 The second volume devoted to a detailed study of the historical sites in Glen Canyon (see also volume 46) prior to its inundation. This one reports on sites from the San Juan River to the mouth of Hansen Creek, 52 miles upstream. 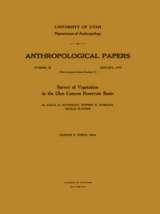 A collection of five papers that cover the technology, irrigation and agriculture of ancient cultures in different parts of the world. 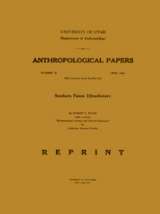 The papers are independent of each other and focus on ancient cultures of southern Arizona, the Diyala River Basin of central Iraq, the Indus Valley, and the Teotihuacan Valley of Mexico. AKA Glen Canyon Series Number 18. 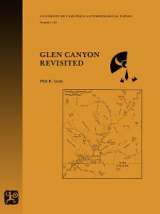 A third volume devoted to the detailed study of the historical sites in Glen Canyon prior to its inundation. This one reports on Lake and Moqui canyons, left tributaries of the Colorado River at miles 113 and 125, respectively. AKA Glen Canyon Series Number 19. 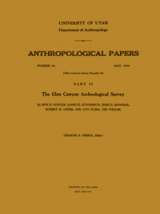 Another volume reporting on prehistoric sites in Glen Canyon prior to its inundation. This one details four sites that were excavated and one that was tested in Harris Wash. All are in the lower 5 miles of the wash.
A summary of archaeological surveys conducted from 1958 to 1962 in the area of Flaming Gorge Reservoir by the Upper Colorado River Archeological Salvage Project and the University of Utah in cooperation with the National Park Service. AKA Glen Canyon Series Number 20. 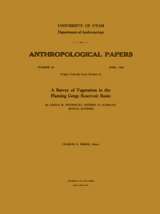 A report of the findings of the 1961 survey and excavation program conducted by the University of Utah on the Kaiparowits Plateau in southern Utah. Eleven sites were excavated, with small sites completely excavated and larger sites extensively tested. 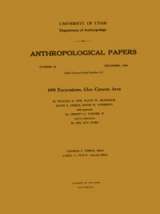 A collection of papers about the Washo Indians, discussing ethnohistory, social organization and acculturation. A description of the Havasupai religion and mythology primarily based on the notes of Carma Lee Smithson who lived with the Havasupai for several years. The notes have been edited and expanded by Robert C. Euler. AKA Glen Canyon Series Number 21. A study of the four eastern bands of Southern Pauite: Kaibab, Kaiparowits, San Juan, and Panguitch. The text was written by Isabel Kelly on the basis of field data she gathered in 1932. AKA Glen Canyon Series Number 22. This is the third volume devoted to a detailed study of the historical sites in the Glen Canyon area and environs. It reports on sites in the canyon of the San Juan River from its mouth, 78 miles upstream from Lees Ferry, to the head of the canyon at the mouth of Chinle Creek, a distance of 132 miles. AKA Glen Canyon Series Number 23. 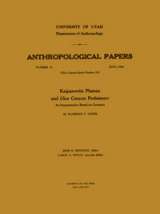 This study examines the pottery found on the Kaiparowits Plateau to try to answer questions about the relationships and movements of the Fremont, Virgin, and Anasazi peoples. AKA Glen Canyon Series Number 24. 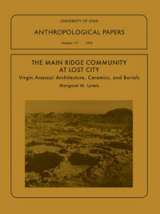 The fourth and last volume of a detailed study of the historical sites in the Glen Canyon area. This one reports on which historical areas and remains were expected to be covered by the waters of Lake Powell. An addendum includes additional material about sites already described as well as data about sites discovered after the first two reports were published. AKA Glen Canyon Series Number 25. 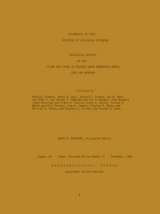 This report focuses on sites tested and/or excavated by the University of Utah in the Colorado River canyon, Slickrock Canyon, Steer Pasture, Castle Wash, and Cedar Mesa. AKA Glen Canyon Series Number 26. 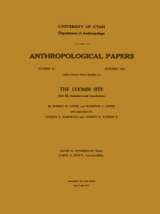 A comprehensive report of the relationships of climate, plants, and animals to the humans who occupied the area of Glen Canyon. 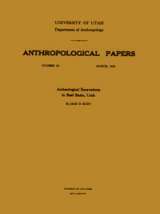 Data was collected by the Department of Anthropology and the Biological Sciences Division. 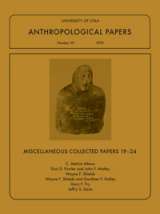 This report includes three unrelated papers: An Ethnography of the Kuzedika Paiute of Mono Lake, CA; Pictograph Site in Cave Valley, Zion National Park, Utah; and Salvage Excavations at Natural Bridges National Monument. AKA Glen Canyon Series Number 27. 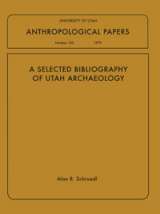 This volume reports on sites excavated in southwest Utah, three near St. George, three in Zion National Park, and two in Johnson Canyon, east of Kanab. The appendix also describes additional sites that were surveyed in these areas. 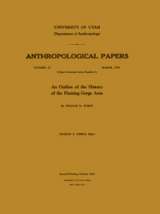 This volume reports geographical, ecological, and geomorphological information deemed pertinent to understanding the prehistoric and historic human occupancy of the Wyoming Basin plateau. AKA Glen Canyon Series Number 28. 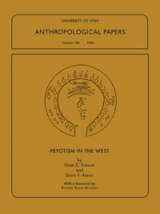 Ethnohistory of the Southern Paiute as interpreted from field work, archaeological sites, and the ecology of their territory. AKA Glen Canyon Series Number 29. 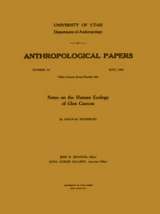 This paper reports on the prehistory of the Virgin branch of the Anasazi in the Southwest. 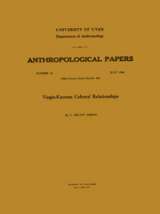 It incorporates information from sites excavated in the early 1960s in southwest Utah to reassess earlier studies of Virgin Anasazi culture that were based primarily on pottery. AKA Glen Canyon Series Number 30. This report provides a summary of the plant and animal remains found during the Glen Canyon surveys. AKA Glen Canyon Series Number 31. This report summarizes the discoveries of eight field seasons in the Glen Canyon area. 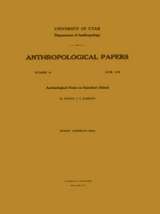 It provides a human paleoecological account of the region by trying to synthesize the information gathered by specialists from a variety of scientific fields. 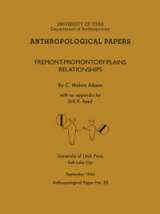 This report reassesses the ethnic and cultural origins of the Fremont in Utah, drawing its interpretations from data of more recent excavations in central, northern, and northeastern Utah and the southwestern Wyoming Basin. 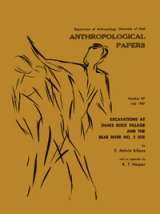 This volume comprises four papers: Miscellaneous Paper No. 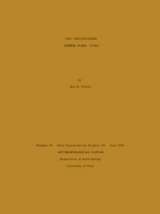 11-Excavations at Gunlock Flats, Southwestern Utah by Kent C. Day; No. 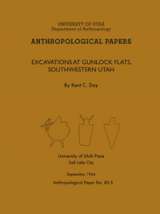 12-An Archeological Survey of Canyonlands National Park by Floyd W. Sharrock; No. 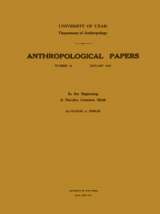 13-The Archeology of Boundary Village by Larry L. Leach; and No. 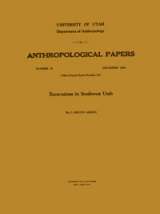 14-Utah Crania of the Historic Period and Basin Shoshonean Physical Type by Erik K. Reed. 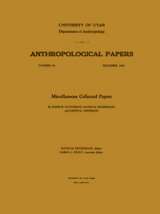 AKA Miscellaneous Paper Number 11, published in University of Utah Anthropological Paper No. 83. This paper reports on the excavations conducted by the University of Utah at Gunlock Flats in 1965. Gunlock Flats is on the east bank of the Santa Clara River in the southwest corner of Utah. 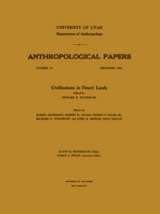 This volume reports on the excavations undertaken at the prehistoric Fremont site of Caldwell Village located near the small town of Lapoint in Uintah County, northeastern Utah. AKA Nubian Series Number 1. 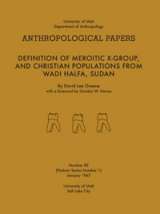 This study was done in conjunction with the University of Colorado to determine if there was a biological continuity between three populations found in the Wadi Halfa area of Nubia in the Sudan. AKA Nubian Series Number 2. 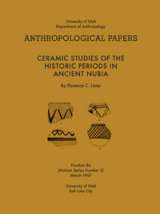 A report on the ceramics found at two sites in Nubia. The ceramics are connected to the three groups of people who lived in the area: the Meriotic, X-Group, and Christians. A report on the excavations and artifacts found at two prehistoric sites that portray different aspects of Fremont culture. Snake Rock Village was a permanent agricultural settlement, while Bear River No. 2 was a hunting camp. 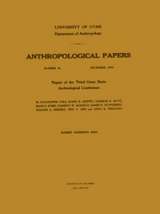 This paper reports on two seasons of excavation (1965-1966) conducted by the University of Utah at the Nephi Mound site near the center of the Fremont culture area in Utah. 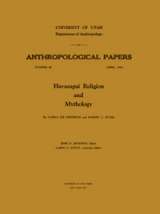 This volume comprises four papers: Miscellaneous Paper No. 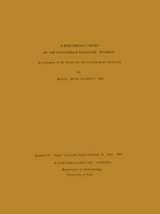 151966 Excavations: Uinta Basin by Wayne F. Shields; No. 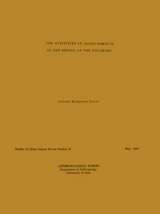 16Preliminary Survey of the Manti-La Sal National Forest by John P. Marwitt; No. 17Lithic Materials from Escalante Valley, Utah, by Gordon N. Keller and John D. Hunt; and No. 18An Unusual Human Skull from near Lovelock, Nevada, by Erik K. Reed. AKA Nubian Series Number 3. 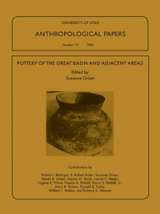 This volume describes the sites excavated by the University of Colorado in northern Sudan that fall into the prehistoric Buhen, Halfa, Dabarosa, and Wadi complexes. 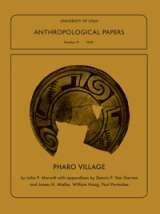 This paper describes the structures, human remains, pottery, and other artifacts found during archaeological excavations at Pharo Village located near the south end of Upper Round Valley in Millard County, Utah. Also known as "Nubian Series Number 4." 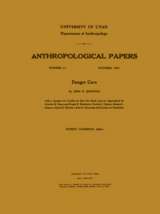 This report discusses the findings of research in the Dungul region, the Kurkur and other oases, and ends with an examination of the relationship of prehistoric man to the desert environment. 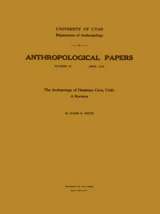 This paper reports on the 1967 and 1968 archaeological excavations conducted at Hogup Cave, located approximately 75 miles northwest of Salt Lake City, Utah. 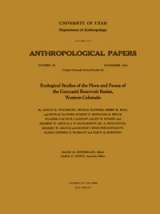 Various analyses on plant and animal remains, coprolites, birds, corn, dog remains, obsidian, and additional artifacts are also presented as appendices. 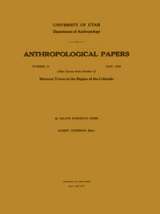 This paper explains the Shoshoni alphabet and language and then recounts various stories of the Shoshoni based on their knowledge, traditions, and history. This paper reports on the 1968 excavations at Median Village, a Fremont settlement in Iron County, Utah. 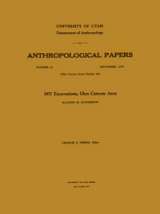 It also includes a comparative and distributional study of Fremont culture based on the archaeological variations found within Fremont culture in space and time. 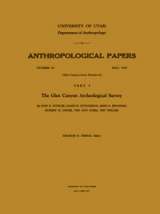 This report records data from archeological surveys and excavations conducted in the Grouse CreekGoose Creek area of extreme northwestern Utah and northeastern Nevada during 1969 to 1973. 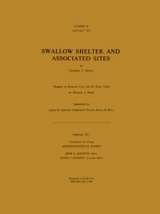 Excavated sites include Swallow Shelter, Thomas Shelter, Kimber Shelter, Tube Cave, Remnant Cave, Beatty Springs, and No Name Valley. 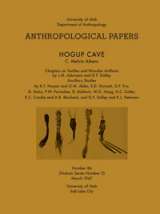 This paper reports on the analyses of coprolites found at Hogup and Danger Cave and at sites in Glen Canyon. 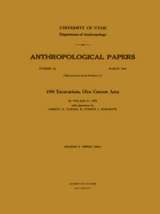 It lists the plant and animal content as well as the parasites and chemical makeup that provide important information about prehistoric diet, resource utilization, ecological adaptation, disease and parasites, seasonality of site occupation, paleoclimate, and behavior. 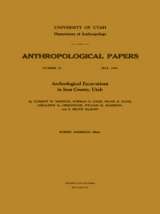 This paper, written in 1973 by Jesse D. Jennings, summarizes the knowledge gained from about 75 years of archaeology in Utah. It covers the various prehistoric groups that have called the Utah area home for the last 10,000 years. This volume comprises 6 miscellaneous papers: No. 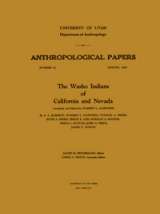 19Indian Petroglyphs from White Pine County, Nevada by C. Melvin Aikens; No. 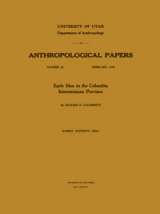 20The Palmer Collection from Southwestern Utah, 1875 by Don D. Fowler and John F. Matley; No. 21The Woodruff Bison Kill by Wayne F. Shields; No. 22The Bear River No. 3 Site by Wayne F. Shields and Gardiner F. Dalley; No. 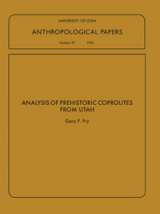 23Prehistoric Diet at Danger Cave, Utah, as Determined by the Analysis of Coprolites by Gary F. Fry; and No. 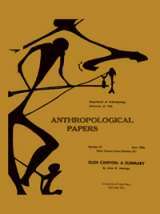 24Tree-ring Dating in Archeology by Jeffrey S. Dean. 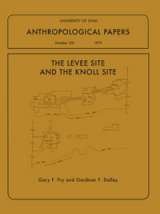 This report describes the 1969 archaeological excavations along the lower Bear River at the Levee site and the Knoll site. 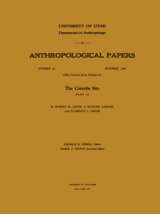 It also provides a record of previous investigations in the area and interpretive considerations on cultural affiliation and cultural history and dating. 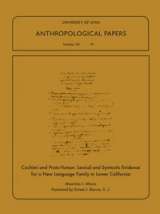 This report is the first in-depth study of Cochimí, an extinct language previously spoken in Baja California, Mexico, and recorded by the Spanish missionaries. It also demonstrates a close relationship between the Cochimí and Yuman. 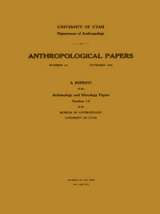 This paper is a compilation of 1021 sources (books, journal articles, dissertations, government reports, etc.) 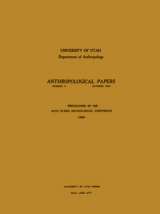 that have made a substantive contribution to the archeological data for the state of Utah. It was completed in 1978. Sudden Shelter was a prehistoric site located in Sevier County, central Utah. The University of Utah conducted a salvage investigation of this site, as it was in the right-of-way during the construction of I-70. This descriptive report summarizes the excavation and findings. 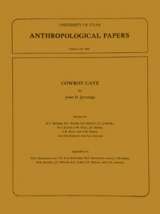 This descriptive report on the 1975 archaeological excavations at Cowboy Cave, an Archaic site located in Wayne County, Utah, provides relevant comparative and interpretive comments by a number of authors. This paper reports on a survey of over 100 sites located in the Bull Creek study area, which runs from the foothills of the Henry Mountains to just north of White Point in southern Utah. It also reports on the excavations and analyses undertaken as part of this project at the Gnat Haven, Ninas Hill, North Point, Alice Hunt, Charles B. Hunt, Playa, Hillside Cache, and Basket Hut archaeological sites. 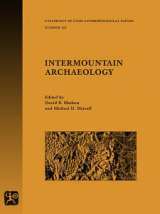 This report builds on earlier publications of excavations and data collection at the Evans Mound, a Fremont site located in the southwestern end of the Parowan Valley in Iron County, Utah. It also summarizes the fourth and last season of excavation by the University of Utah at the Evans Mound site. 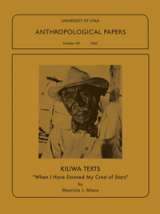 UUAP 107: Kiliwa Texts: "When I have donned my crest of stars"
This report covers the language of the Kiliwa of Baja California, Mexico and records a number of Kiliwa texts, including myths and legends, ethnographic, ethnohistorical narratives, personal narratives and miscellaneous texts. 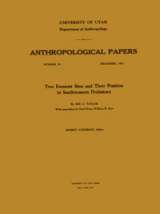 This paper reports on the peyote cult as practiced among the Ute. 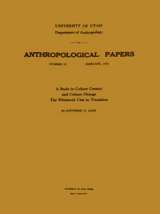 It discusses some newly discovered historical information relating to the introduction of peyotism in the United States and compares the peyote cult among the Utes to that of other tribes in the United States and Mexico. 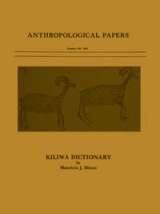 This volume is a dictionary of the Kiliwa language and is a companion to the Kiliwa Texts published earlier (see AP No. 107). 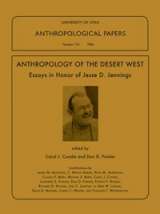 This volume is a collection of essays about the Great Basin, collected in honor of Jesse D. Jennings, the father of Utah archaeology and the former editor of the University Of Utah Anthropological Papers. 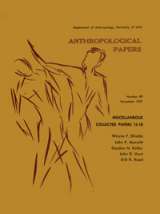 This volume is compilation of individual papers from the Great Basin/California Pottery Workshop of April 1983. 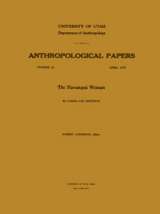 The papers include data reports, literature reviews, statements of theoretical positions, and analytical methodology. All address ceramics, primarily of undecorated wares, from the Great Basin and nearby areas. 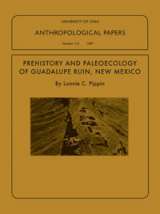 This paper reports on archaeological excavations at Guadalupe Ruin, located in the middle Rio Puerco Valley in Sandoval County, New Mexico. 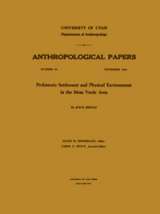 It provides archaeological, environmental, and paleoecological data. 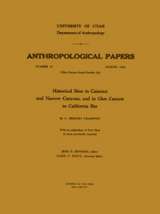 This study was undertaken to obtain a detailed and continuous record of climate change in the Four Corners area over the last ten thousand years. 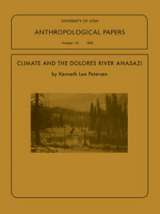 Climate change is also discussed in reference to the Dolores River Anasazi over the last two thousand years. Pollen and tree-ring data are presented and discussed. Willard Z. 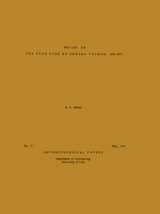 Park's Notes on the Northern Paiute of Western Nevada, 1933-1940 (UUAP #114) by Park, Willard Z. 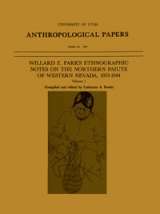 This paper is the first of two volumes presenting the ethnographic field notes of Willard Z. Parks, who studied the Northern Paiute from 1933 to 1940. 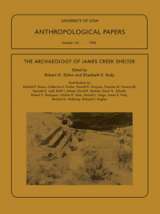 This paper reports the geological, biological, and archaeological data from the 1984 excavation of James Creek Shelter in Eureka County, Nevada. 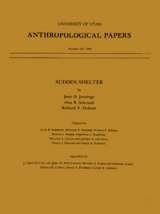 Documented occupation of the shelter lasted from about 1200 B.C. to A.D. 1800. 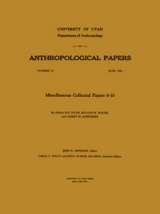 This paper incorporates environmental, ethnographic, and ethnohistorical data to develop a clearer picture of the patterns of Western Ute life in Utah Valley immediately prior to European contact and to put those patterns in the context of other indigenous peoples of the Great Basin. 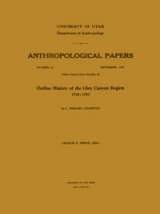 This paper reports data from Main Ridge, a site along the Muddy River of Nevada once occupied by the Anasazi. 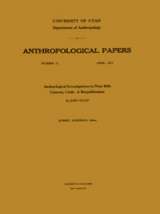 The study examines the size and organization of the site, perceived social differentiation among the burials, and how the occupants were involved with production and exchange. 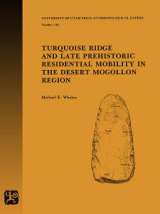 Based on findings from excavation projects that began in 1977 and ended in 1986 on lands at Fort Bliss, Texas, this study focuses on two particular sites: Turquoise Ridge and the Huesito site. 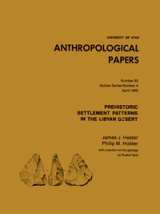 One major topic of discussion is the role of residential mobility in late prehistoric adaptations. Residential mobility had always been assumed for the region’s earliest populations, but the idea that it figured in later adaptive strategies was of more recent origin. 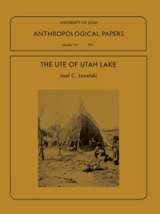 The two objectives of this book are to examine specific issues about the history and lifeways of the prehistoric inhabitants in and around Glen Canyon and to present an updated version of regional culture history thirty years after the end of the massive archaeological study conducted prior to the creation of Lake Powell (the Glen Canyon Project). 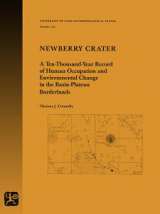 The research in this volume derives from investigations conducted in connection with proposed widening and realignment of the Paulina-East Lake Highway, located within the caldera of Newberry Volcano. 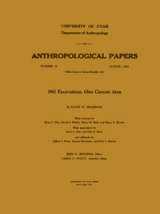 Formal evaluation of 13 localities and data recovers at four sites produced a wealth of information regarding human uses of the caldera and vicinity throughout the Holocene.